– it shows ARPA target information. 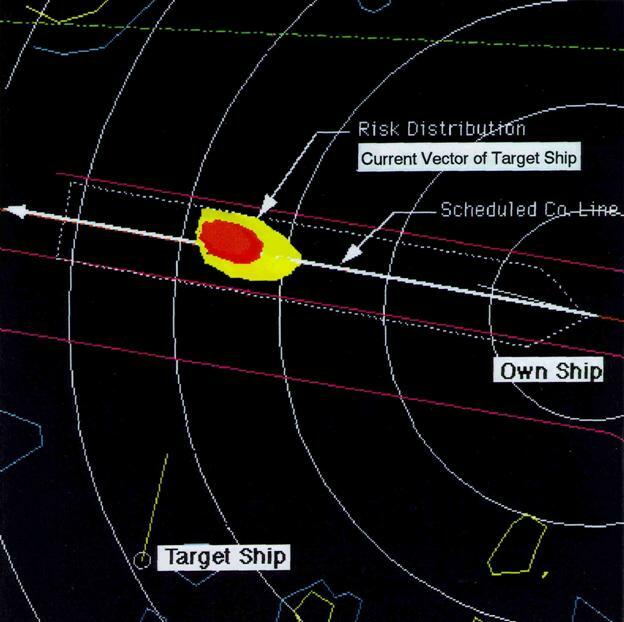 – it provides a faction for steering a ship by changing scheduled route using a track ball for ECS with consideration of collision danger zone. – it shows the future track of own ship and collision danger zone of each target ship. – it provides easy operation for collision avoidance in track control mode. 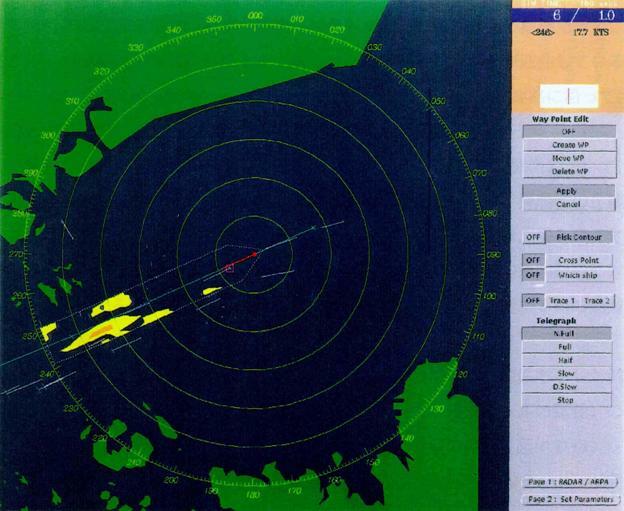 – image of RADAR with collision danger zone on own ship scheduled course. – Coastal cargo ship navigators did not use track control because it is difficult to set way points and because they could not imagine what and how mach order (e.g. rudder angle) is submitted ship.